Even though it just snowed a couple days ago and I had to shovel the driveway, spring is pretty much here and with that, comes tasty vegetables in season, like asparagus! 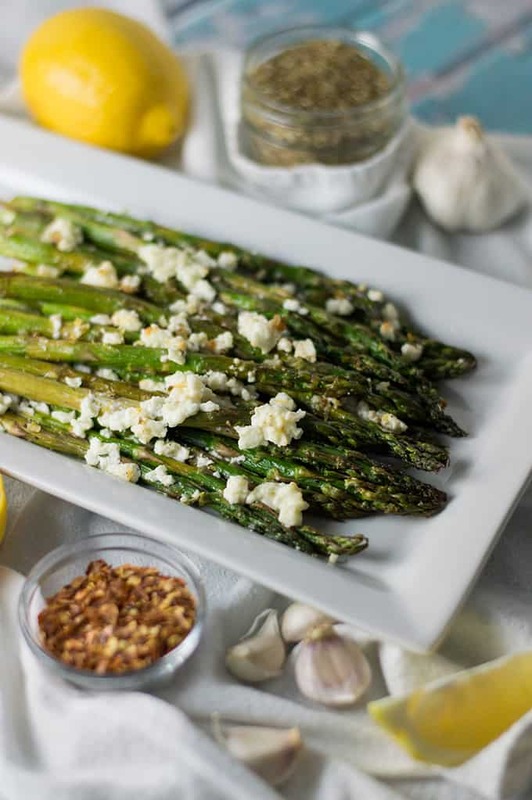 When I saw fresh asparagus at the store the other day, I knew exactly what I wanted to with it and that’s share this recipe of roasted asparagus with feta with you. 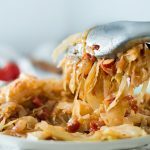 It’s a simple side dish with all of the flavor (I’ve been a huge fan of that lately) that can be ready in roughly twenty minutes from prep to table. That’s good for your lounging time! 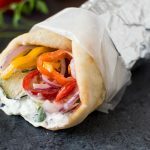 This easy peasy recipe calls for olive oil, garlic, Greek oregano, red pepper flakes, lemon (zest and juice), and the wonderful, glorious feta cheese, crumbled into velvety goodness. However, do not buy that pre-crumbled “feta” stuff. You know what stuff I’m talking about. 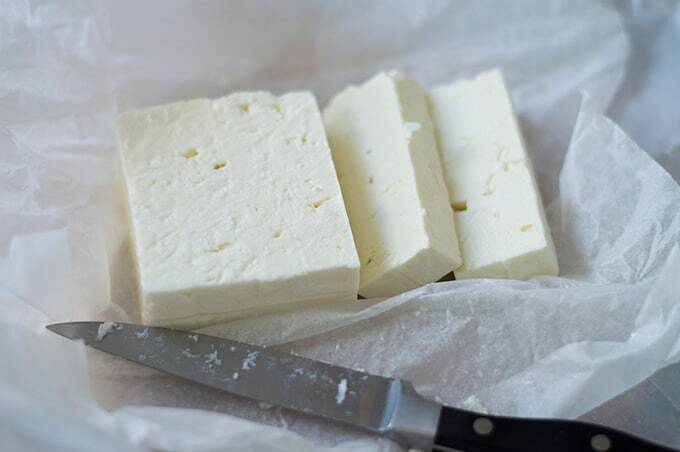 Get your hands on good quality feta because if you don’t, the world will implode on itself. You don’t want to be responsible for something like that. Trust me. 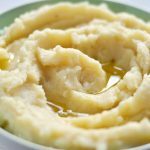 I’m a huge fan of Dodoni and get it from the local Greek shop, but I’ve seen it at some grocery stores too! If you can’t find Dodoni, there’s a high chance you’ll at least find Mt. Vikos which is also really good. Honestly, any feta is good if it’s truly authentic. Just don’t, for the love of feta, buy the kind in a plastic tub that comes pre-crumbled. Please. Besides, crumbling that ish yourself is an easy task. And you won’t be sacrificing any flavor. I call that a win. Prepping the asparagus is easy: you snap off the woody ends using your fingers (they will naturally break where the tender part of the vegetable begins; it’s about an inch or so of a piece that will break off). Then, you rinse away any dirt or grit and pat dry with a tea towel. 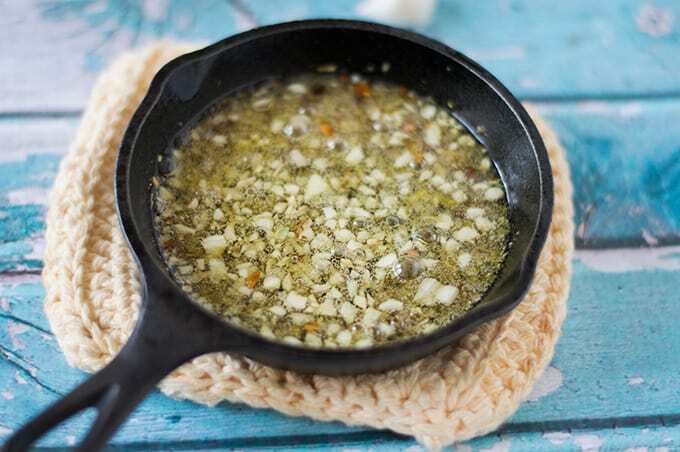 The next step is infusing the oil with other ingredients by heating the oil in a small pan over medium-low heat. It’ll take a few minutes for the oil to heat up, but you don’t want to rush it or have it get too hot because everything will burn and that’s a sad infusion gone wrong. You can test the heat of the oil by adding in a droplet of water and if it’s sizzling, even just a little, you’re good to go. Add in the garlic, lemon zest, red pepper flakes, and oregano and allow it to cook for a couple minutes, then remove from heat and let cool a little. 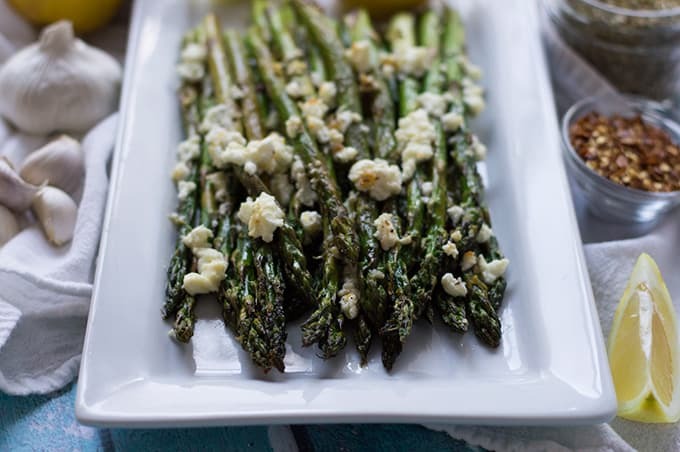 Then, you combine the asparagus in a large bowl with the infused oil, salt and pepper and lay it out on a sheet pan and top it with feta. Pop it in the oven for 10-12 minutes. When it’s done, take it out of the oven, top it with freshly squeezed lemon juice and dig in! Remove woody ends from the asparagus and rinse well. Pat dry with a paper or tea towel and set aside. 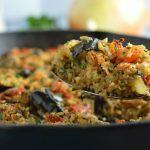 Pour olive oil into a small pan and heat over medium-low heat; you want the oil to be heated, but not too hot or the ingredients will burn. 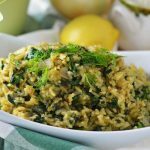 Add in the garlic, lemon zest, oregano, and pepper flakes and cook for two to three minutes, until the garlic just becomes golden. Remove from heat and set aside to cool slightly. 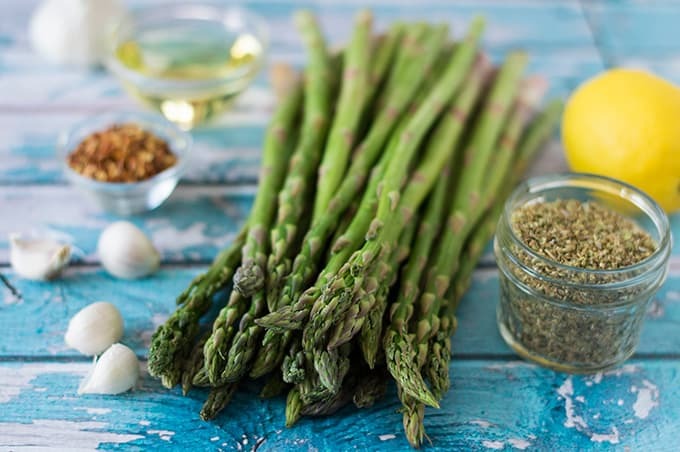 In a large bowl, combine the asparagus, salt, pepper, and infused oil. Mix well to coat the asparagus evenly. 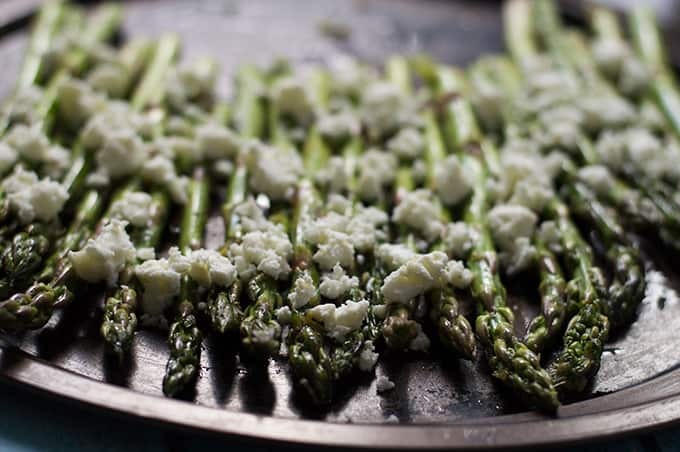 Lay out the asparagus on a baking sheet in an single even layer. 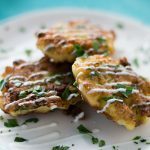 Top with crumbled feta cheese and put in the oven for 10-12 minutes. Remove from oven and squeeze fresh lemon juice over the asparagus. Nothing beats roasted veggies but top it with feta 🙂 YUM!! I have a 6″ one too! It’s my go-to for sandwiches, especially. I love cast iron! 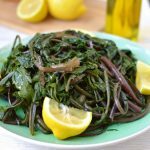 I love the Greek twist you put on asparagus! We’re feta fanatics too so always have some around. Making this! 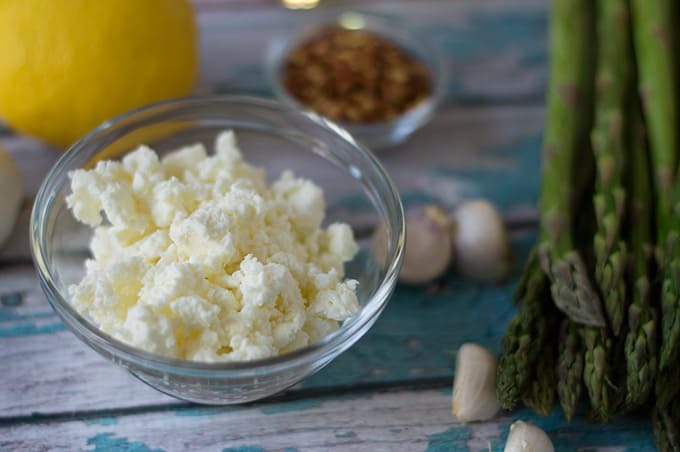 How much feta do you usually use? 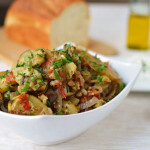 Whoops, didn’t realize I forgot to include the feta in the recipe instructions – thanks for catching that! I use about 2 ounces (1/2 cup when crumbled).